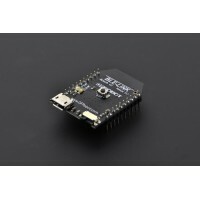 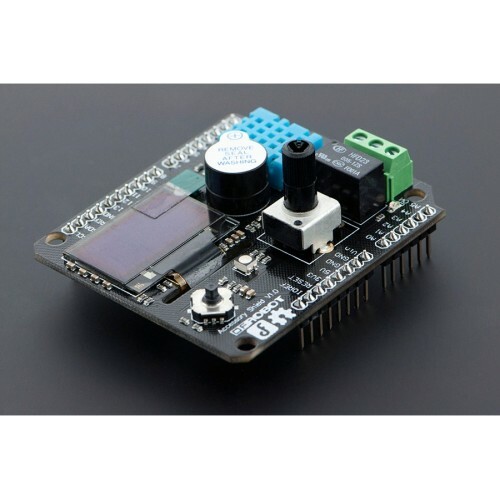 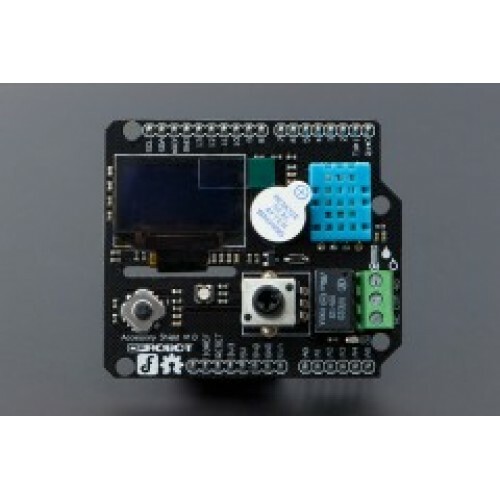 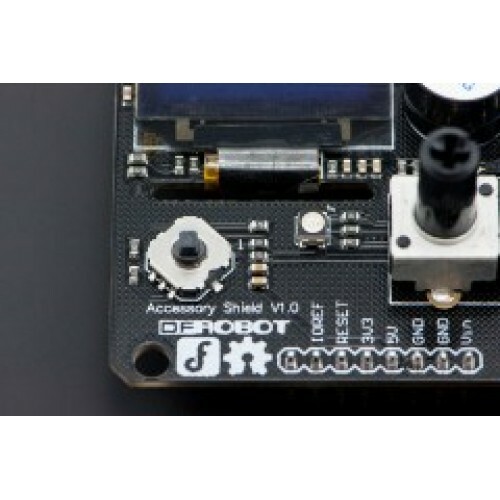 This Accessory Shield for Bluno is specially designed for Bluno (BLE with Arduino Uno), which is first of its kind in intergrating BT 4.0(BLE) module into Arduino Uno. 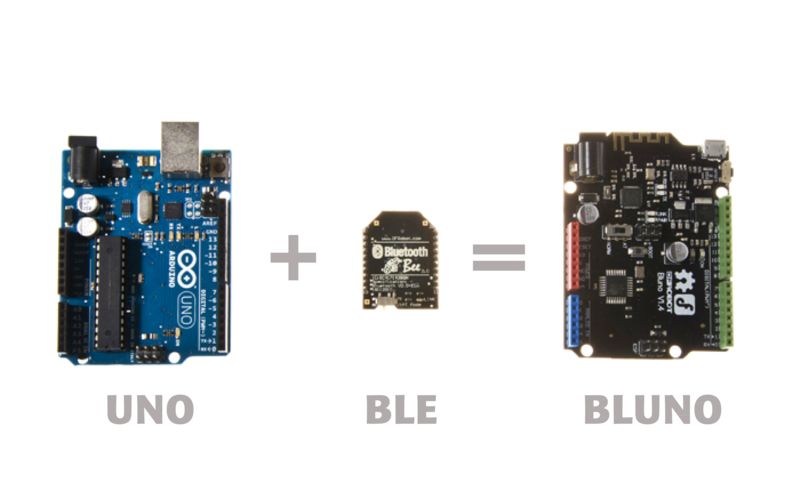 Together with Bluno, this Accessory Shield forms an ideal prototyping platform for both software and hardware developers to go wireless. 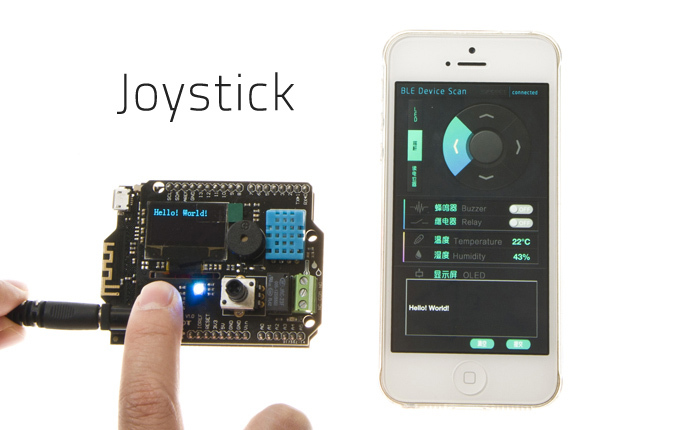 You will be able to develop your own smart bracelet, smart pedometer, etc. 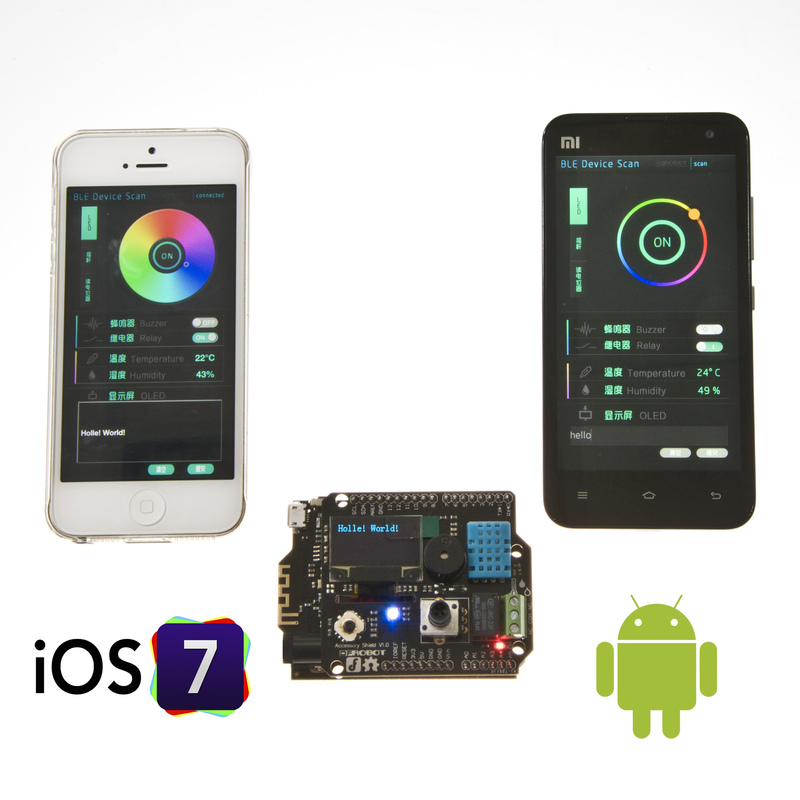 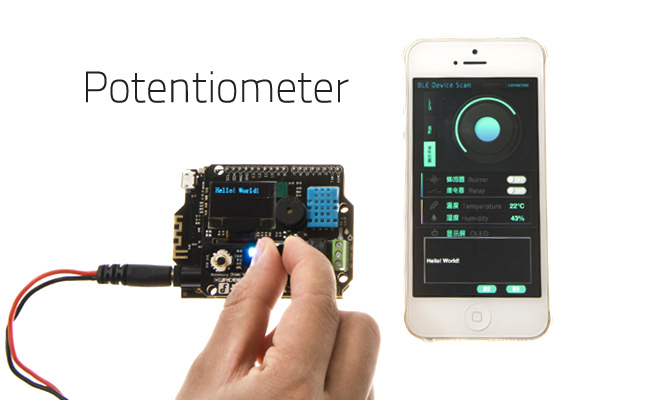 It's a low-power, real-time low energy communication perfect for embedded designs. 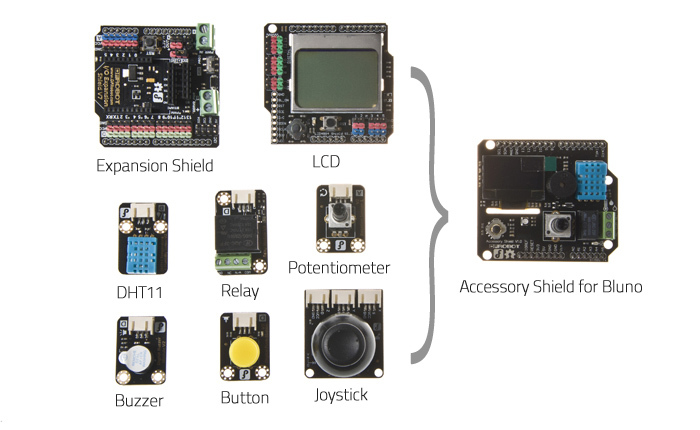 With built-in seven main functional modules, this Accessory Shield is dedicated to aid interactions between your Bluno and the physical world. 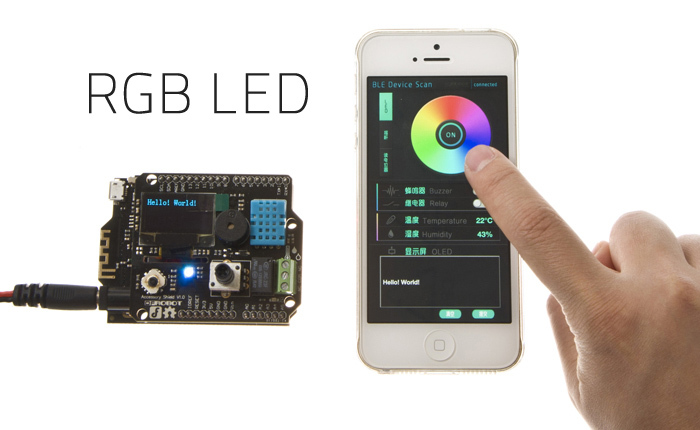 128x64 OLED Screen Display messages from your phone interface. 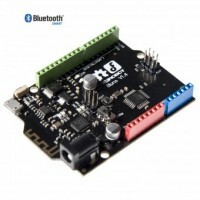 Buzzer Enable Sound notifications or simple music. 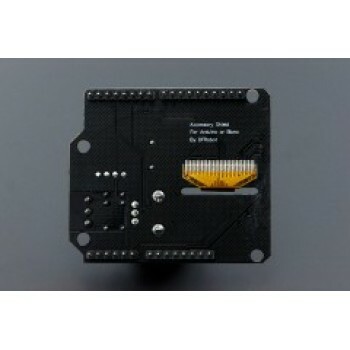 DHT11 Temperature & Humidity Sensor For environmental monitoring. 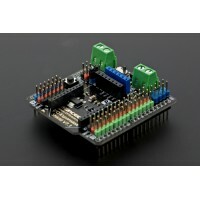 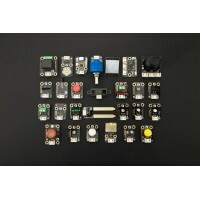 1.5A Relay Device switch or integrating with other electronics.